Hyde Park, NY – A graduate of The Culinary Institute of America will be defending the gold medal won by the United States at the 2017 Bocuse d’Or, the world’s most prestigious gastronomic competition. Matthew Kirkley is head chef of Team USA 2019 after winning a cook-off last weekend in Las Vegas, NV that mirrors the format of the Bocuse d’Or. Chef Kirkley and the other finalists had five hours and 35 minutes to prepare and present a platter composition and a plated dish to a panel of judges. Kirkley, executive chef of Coi in San Francisco, will now spend the next 14 months preparing for the global competition to be held in January 2019 in Lyon, France. “We are proud of Matthew and wish him the very best as he defends the USA’s title in the Bocuse d’Or,” said CIA President Dr. Tim Ryan. 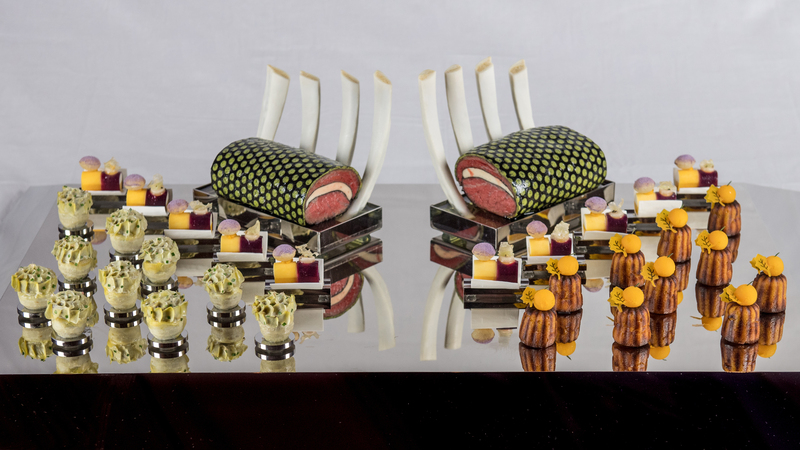 The Bocuse d’Or is held once every two years, with teams from 24 nations competing. The United States reached the medal stand for the first time in 2015, with CIA alumnus Philip Tessier as head chef of the silver-medal-winning team. In 2017, with Tessier as head coach, Team USA took home the gold medal. It is now up to Kirkley and his commis assistant, Mimi Chen, overseen by Ment’or—a nonprofit organization devoted to inspiring culinary excellence in young professionals—to keep the gold. Also in Las Vegas, CIA senior Ethan Hodge won the Ment’or Commis competition and will have an opportunity to stage with Team USA 2019, spending four weeks with the chefs at The French Laundry as they prepare for the Bocuse d’Or.